HAWK is combining two of the biggest and best Matthews spring events into one huge celebration of nature, family and fun. The Kids in Nature Day and Earth Day celebration starts at Squirrel Lake Park and continues along a portion of the 4-Mile Creek Greenway. "Kid-central" will feature guided hikes, lake fishing, crafts, nature exhibits and other activities. Please sign up to volunteer and share your love of earth and nature with families and kids that spend too much screen time and not enough outdoor time. Parking is limited. We encourage volunteers to park in the community across the street from Squirrel Lake Park. The park is located at 1631 Pleasant Plains Rd, Matthews, NC 28105. Sign-up for the full event and dress appropriately for the outdoors, the weather and fun! Remember to bring your lunch and a water bottle to refill. Sponsored by Williams Subaru, HAWK (Matthews Chapter of NC Wildlife Federation), Great Outdoors University and the Town of Matthews. Assist with schedule of activities, attendee sign-in, volunteer direction and reach-out. Water and first-aid station. Experience preferred. Assist hike leader with kids. Hikes every 30 minutes. Leads: Mary and Rachel. Assist with distribution, instruction and collection of scavenger hunt guides. Manage attendee sign-in. Assist kids with catch and release lake fishing. Manage rods and reels, bait hooks, release fish. 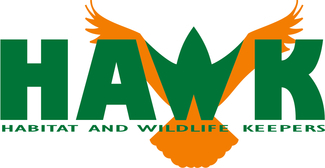 Habitat and Wildlife Keepers education. Tree saplings and seed packets give-a-way. Water station. Habitat Steward or HAWK member preferred. Manage HAWK Cycles booth. May require some lifting, sort recyclables as they come in, unload cars at curbside. Assist with parking at Squirrel Lake Park. Take photographs of attendees and activities and provide digital images to HAWK. Need to use own camera. Operate snow cone machine. Distribute free snow cones to attendees. Prefer age 14 or older. Rotate among vendors for bathroom and lunch breaks. Other duties to be determined. Breakdown, pack up & clean up!